Support 100% of your sales reps and channel partners. 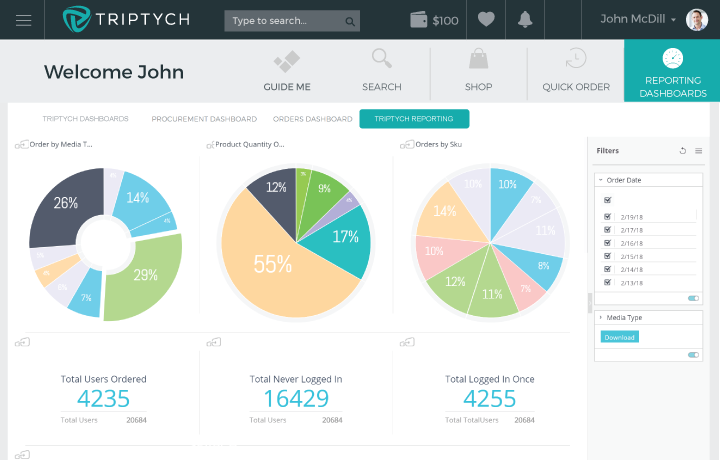 Triptych is sales empowerment. We give distributed marketing and channel selling teams omnichannel sales support that includes everything from print to digital to 3D. 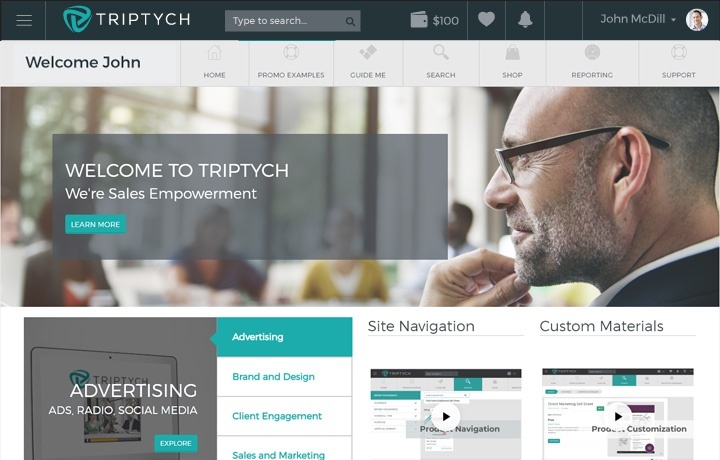 Triptych is a sales content management and channel marketing enablement platform all in one. 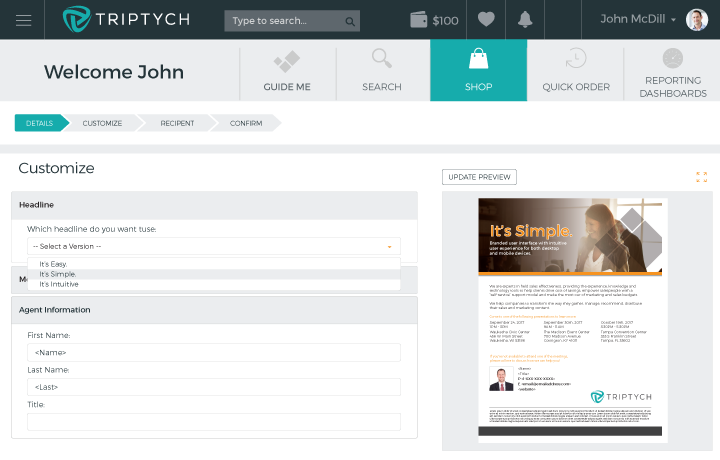 Give your reps and channel partners a single platform to customize, order, and provide feedback on sales materials. At the same time give marketing the analytical data it needs to produce effective sales materials and cut waste. Sales and marketing alignment starts here. Frictionless communication and transparency between sales and marketing through a centralized sales support hub. Hands-on training on how to use your new system complete with Tier 1 or Tier 2 call center support. Simplify your stack with integrated co-op funds management. Reduce marketing waste, increase sales success. Uncover actionable insights using real-time sales data, enabling you to create the tools that sales actually needs. Learn which content performs and which doesn’t with in-depth metrics by tactic. Maximize marketing vendor performance with improved workflows and built-in KPI dashboards. Stronger pitches through compliant customization. Give reps instant access to brand and legally-compliant materials that can be easily customized to fit the way they sell. Ensure your brand messaging stays consistent with pre-approved marketing materials. Increase sales productivity by 40% by making relevant content easy to find through intuitive searches and recommendations. 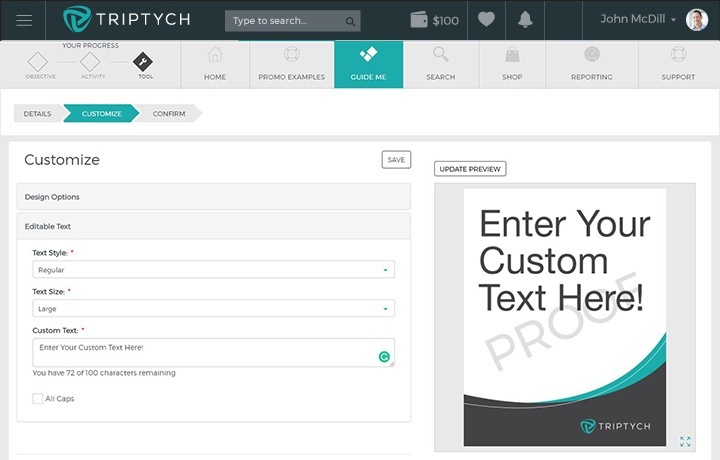 Create a one-stop shop for all of your sales content resources that sales reps can access from anywhere. Share content with potential buyers in multiple formats via multiple communication channels with minimal effort. 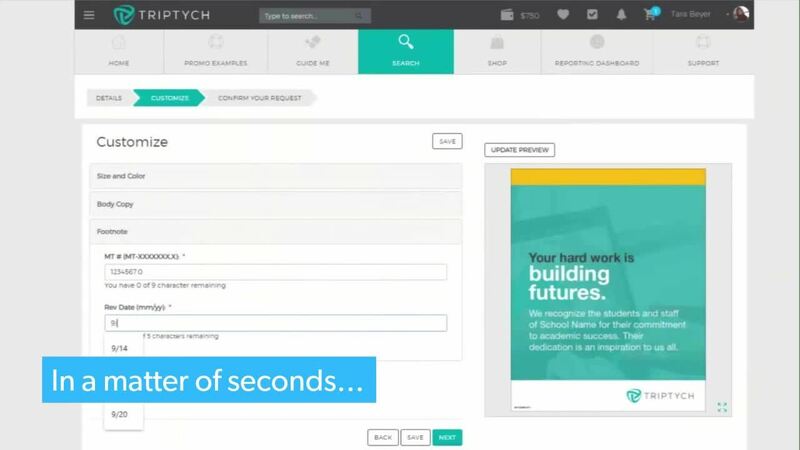 Streamline your sales content by easily removing redundant or underutilized content.